The school holidays are looming. Keeping everyone happy and occupied on the days you’re not working can be a job in itself. I’ve shared my cheat-sheet of ideas for all ages and weathers. Enjoy! I’m not a big one for planning out each day of the holidays with military precision. 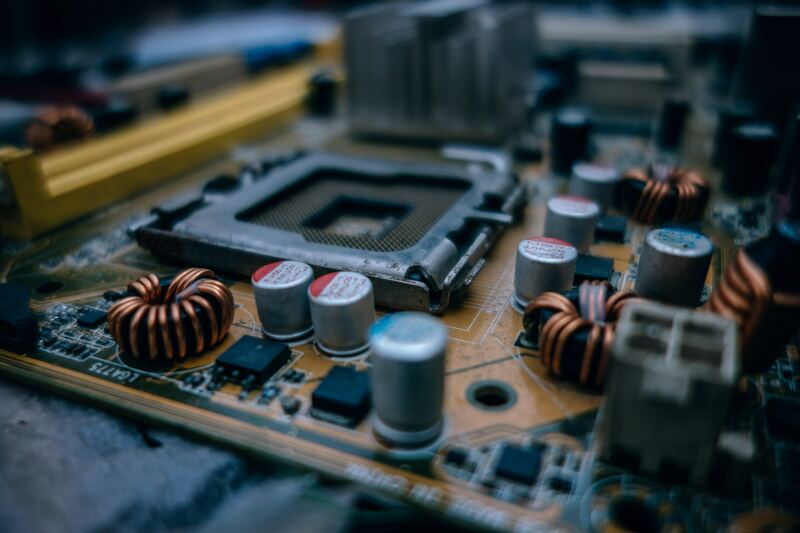 However, when you are frazzled and hot, and everyone is getting a bit grumpy, it can be hard to just pull something fun to do out of thin air. So, over the years I’ve put together a list of activity ideas that has saved my bacon on a number of occasions. If I’m feeling extra-organised, before the holidays start, I go through the list to check out local events and activities, and get a few dates pencilled in. I stock up on a few craft or cooking supplies, and maybe look for a few new activity ideas based on what the kids are interested in at the moment – and we’re good to go. Inside: Raining? No problem. Let them use the sofa cushions and raid the bed linen and towels. Supply torches and snacks. Have a ground rule that parents must be able to sit down again by the evening! If they get really into this, try You Tube for more bush-craft inspiration. Water is usually a winner: From paddling pools and pouring games for the littlest, through to battles with water pistols and water balloons for the bigger ones. For toddlers, a tray of plastic cups, water, food colouring and bits and bobs to make ‘tea’ has got me through a surprisingly large number of long, hot afternoons. Mud: If you don’t mind epic amouts of mess, this is basically the same as the one above. Just add soil. Try not to look. 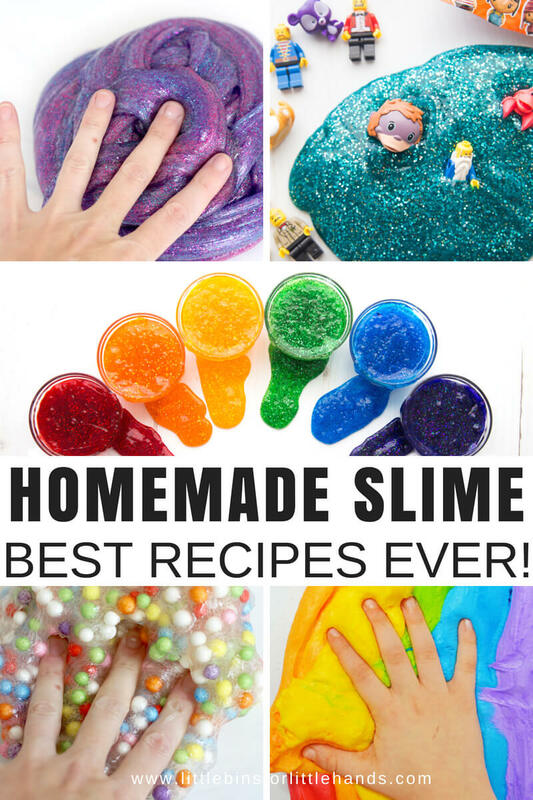 Slime: If the slime craze hasn’t hit your household yet, click the link to the right for some homemade slime recipes. You’ll need to round up a few key ingredients in advance such as glue, contact-lense solution (yes, really), paint and glitter. Painting and ‘junk’ modeling: If you’ve got an outside space that can get messy, send them out with paint and large cardboard boxes, scissors, duct tape and string. Help them to make a castle / rocket / fairy tower / robot / dungeon / train / car / cooker / spaceship or whatever takes their fancy. One of my favourite efforts the kids came up with was probably a child-sized cardboard ‘robot-owl’. Because, why not? You could try ‘no paint painting.’ A relative once had the fab idea of challenging the kids to paint with anything – except brushes and proper paint. They tried coffee, potato printing, tea bags, mud, mashed beetroot. There was mess aplenty, but it kept them happy for a loooong time. In our house, we have a small ‘summer box’ that we get out at the start of the holidays. Inside are a few books, puzzles and crafty bits. Every year I top it up with a few new goodies. 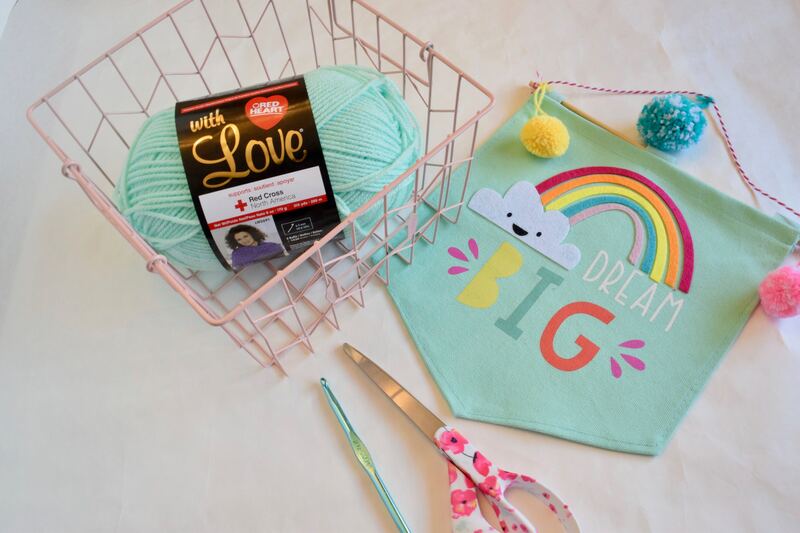 It’s not expensive – I just add some craft supplies, stickers and so on. Places like Baker Ross and Yellow Moon often sell off summer craft stuff in the autumn, so you can pick up bargains for next year. Pound/dollar shops are also great for low-cost craft goodies. Over the years ‘the box’ has featured bubbles, paint-your-own birdhouses, colouring sheets, sand art, modelling clay – and lots more. The kids still get excited each year, and it’s great to bring it out when they’re feeling a bit listless. How about a Family Olympics? OK, this one could go horribly wrong if you’ve got a really competitive crowd on your hands. But it can be a fun few hours. Try Fling the Welly. Egg and spoon. Sack-race-in-a-pillow case. Longest hoola-hooping session. Best keepy-uppy. Worst cartwheel. Kids can spend ages planning the events, making medals and posters, and setting up an obstacle course. Embarassing performances by parents are generally enjoyed. Older kids can video the fun for post-match analysis/ritual humiliation. Interpret this as loosely as you like – Mary Berry’s not watching. You could get older kids to choose a recipe – a family favourite, or something new and exciting – and give it a go themselves. Need a snack? Let them cook favourites like pancakes or fairy cakes, smoothies, biscuits or granola. For toddlers, a bit of flour, a jug of water, a fairy-cake tray and a spoon equals lots of happy, messy ‘cake’ making fun. 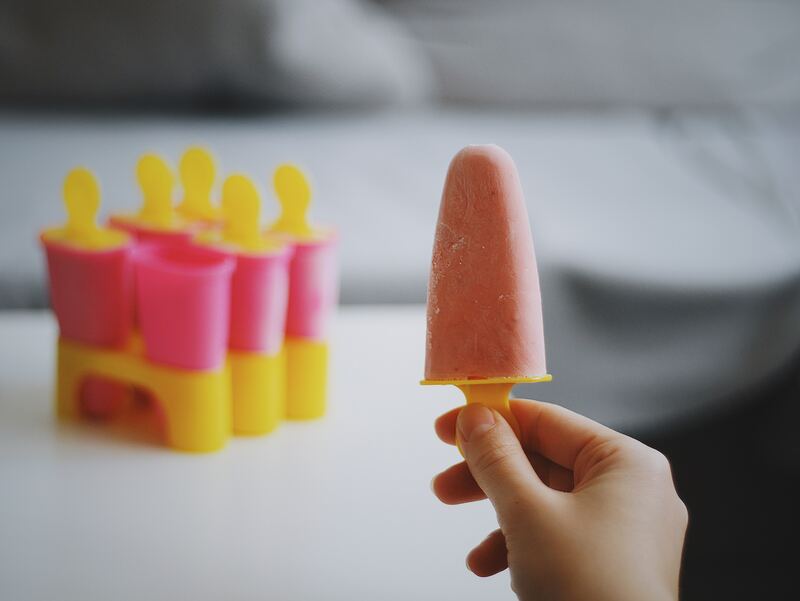 If it’s hot, ice-lolly moulds mean the kids can spend ages making weird squash/juice concoctions for the freezer. You will save a fortune in shop-bought ice-creams. And their efforts might even be fairly healthy, too. Yep, the lure of the screen is strong. But given the chance, many kids still seem to get a tonne of fun from traditional board games. 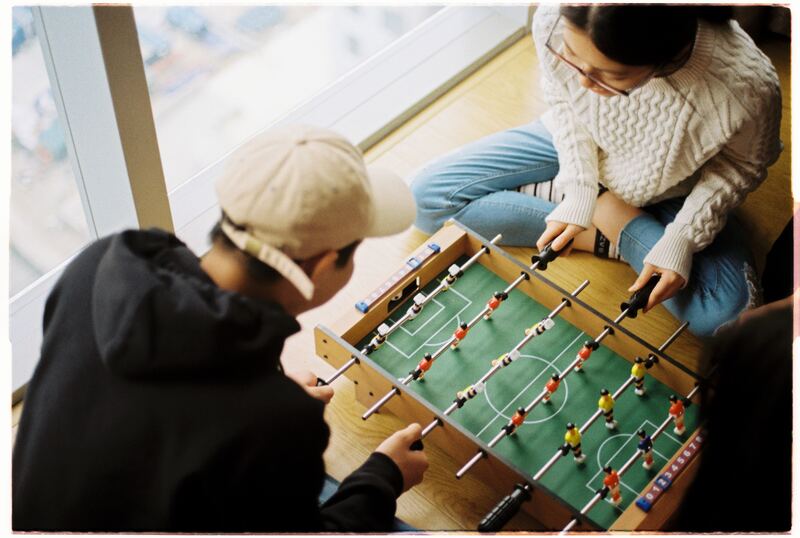 Table footie is another popular option. If you have geeky kids (I say this with love, as a household of geeky types), then board games are having a bit of a moment. There are loads of cool, new ones for all ages. Strategy games like Pandemic or Catan for the older crowd, adventure games like Forbidden Island, quirky card-games like Gubbs, and silly fun like Happy Salmon. Board games can be surprisingly pricey, but you can often find good ones in charity shops. Or for the price of a pack of cards, how about learning six new cards games (one a week)? Who knows, you might find a new family favourite. Or at least win back the pocket-money you just gave your teenagers. I have zero crafty talent. I will never produce an item fit for Pinterest. But my kids don’t care. Websites like The Imagination Tree and the wonderfully named Filth Wizardry have a zillion crafty activities for younger children. Usborne Books also do a great range of seasonally-themed craft books for kids. Older children might be willing to have a go at sewing, model-making, scrap-booking, making lip-balm or bath-bombs – or whatever takes their fancy. If (like me) you have no talents in this area, You Tube is your new best friend. If your kids are more into Robot Wars than macrame, the ‘maker’ scene is a fantastic source of ideas. Look out for events run in the US and UK by the Maker Faire. The Woodshop Cowboy has a great list of relatively simple projects to try at home. Now what could possibly go wrong? Kits like Little Bits now bring simple electronics within easier reach. And Raspberry Pi – the low-cost mini-computer available for under £20 – is a great way for older kids to get into programming. 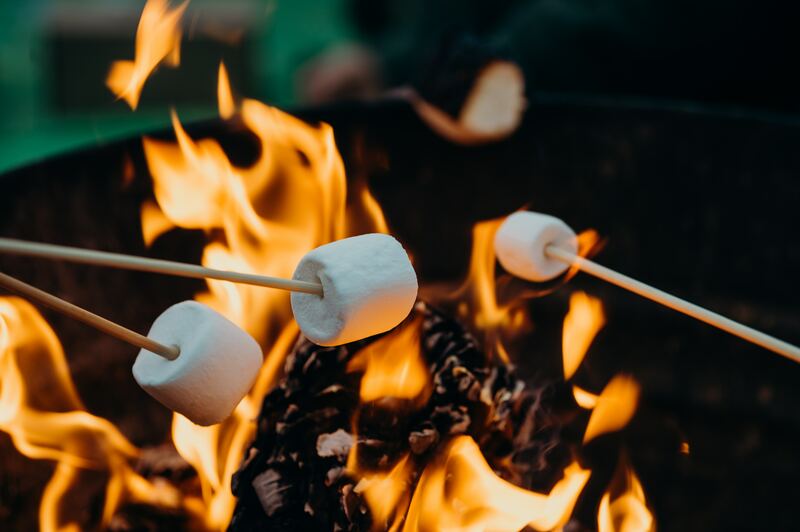 For the older crowd, bonfires and toasting marshmallows are usually incredibly popular. You don’t need acres for this – we’ve had mini-fires in the garden with just a few twigs in an old roasting tin. It was still hot enough to toast marshmallows. Want to go old-skool? Challenge older kids to learn to use a traditional fire steel. They cost a few pounds on Amazon. Kids are amazed the first time they make fire all by themselves. But what about those days when you all just HAVE to get out of the house? We get it. 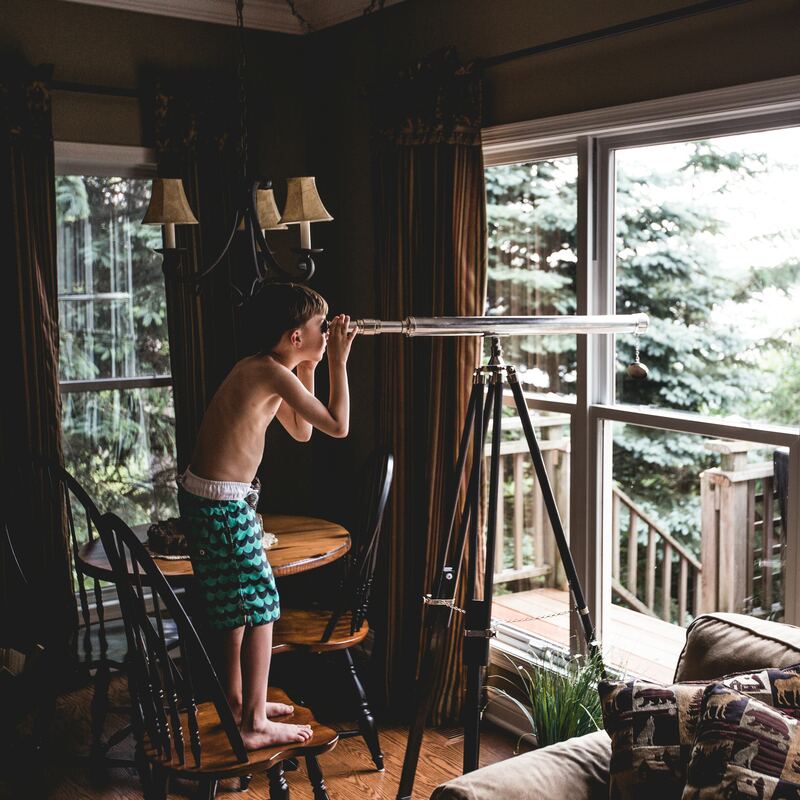 Try these simple, low-cost ideas for mini outside adventures. We all know that a simple picnic in your local park lets kids burn off energy. The holidays can be a good time to explore further affield. Are there parks you don’t normally have time to get to? Unfamiliar play equipment seems to keep the under 11s happy. Bigger kids could set up a treaure hunt. And try MummyApps if you’d like to connect with local parents for some company. If the weather is rubbish (yay, Britain! ), museums often have awesome free or low-cost activities for children. Ditto the National Trust, if you’re a member. Failing that, are there any cool local cafes you’ve never tried? 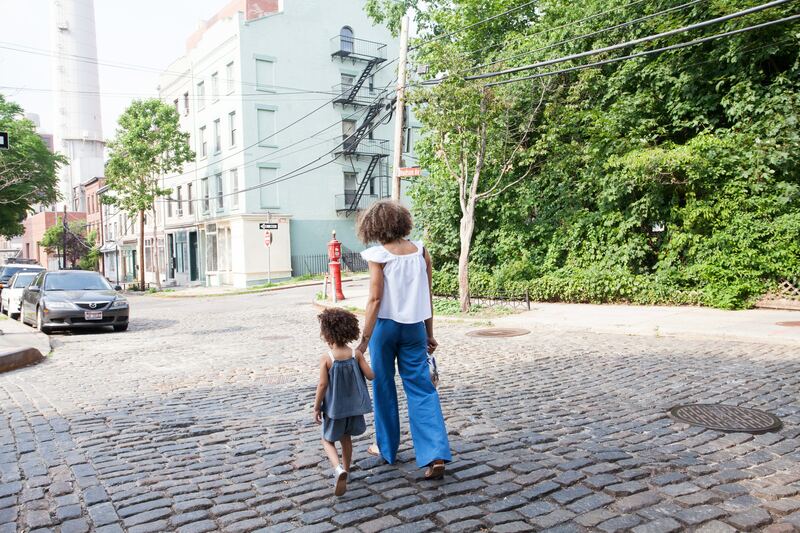 Meeting a friend with kids is fun and let’s you grab a few minutes of precious adult conversation. See what your local swimming pool has on offer. They often have ‘play’ sessions over the holidays when pool toys are allowed. Some also run sessions for older kids to try things like kayaking or snorkeling. For the younger crowd, try drop-in music or story sessions at local libraries or community centres. 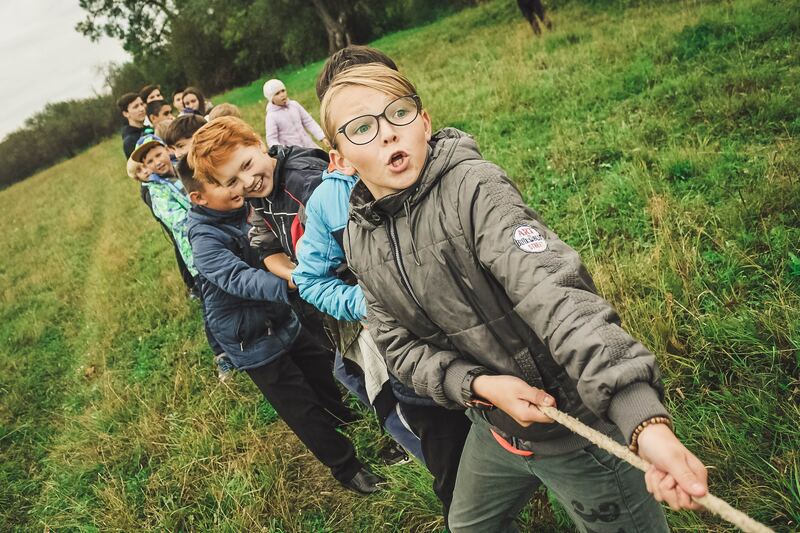 The charity Friend in Deed run fun sessions for littlies, held in care homes, which is a lovely way to help the generations mix (currently only available in Suffolk and Norfolk). Geo-caching is a great one for pre-teens who don’t mind a bit of a walk. The National Trust has a free list of 50 activities for kids to do before they’re 11. For older kids, you could try letting them plan an outdoorsy family challenge – such as completing an extra-long bike ride, or day’s outing by train. Let them take responsibility for planning routes, booking tickets and so on. They’ll feel grownup and you’ll have less to do. The Wildlife Trust has beautiful nature reserves all over the UK. They run lovely family drop-in sessions with lots of nature-inspired fun, from ‘Brilliant Bugs’ to pond-dipping and nature crafts. Most sessions cost a few pounds. . I hope this has given you a few ideas. 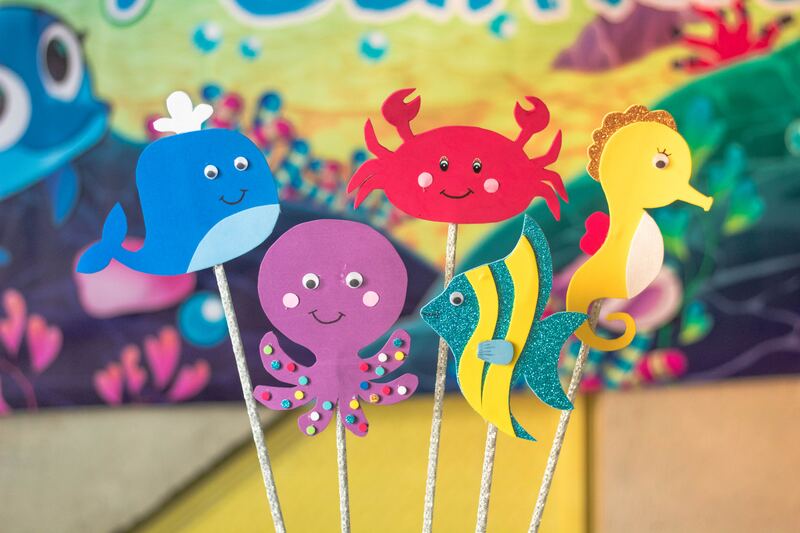 It’s just a starting point – try taking 15 minutes to put together your own list of ’emergency fun stuff’ ready for when you need a bit of holiday inspiration. Keeping everyone happy and busy, whilst also keeping your work-life on the go, is really hard. So make a bit of time for some fun stuff for you too. You deserve it. PS We’d love to keep in touch – sign up for our newsletter, below, or come and say hi on Facebook!